India — one of the world’s most ancient living civilizations, that discovers and re-discovers itself every day, conjures myriad meanings for different people. It is a civilization united by its diversity, the richness of its culture, the glories of the past, the turbulences and triumphs, the landmarks of each era and the knowledge and legacy that has come down through the centuries. As you walk through India’s history, her geography, her linguistic, scientific and artistic contributions, your individual interpretation will be your discovery, your meaning, your ARTH! 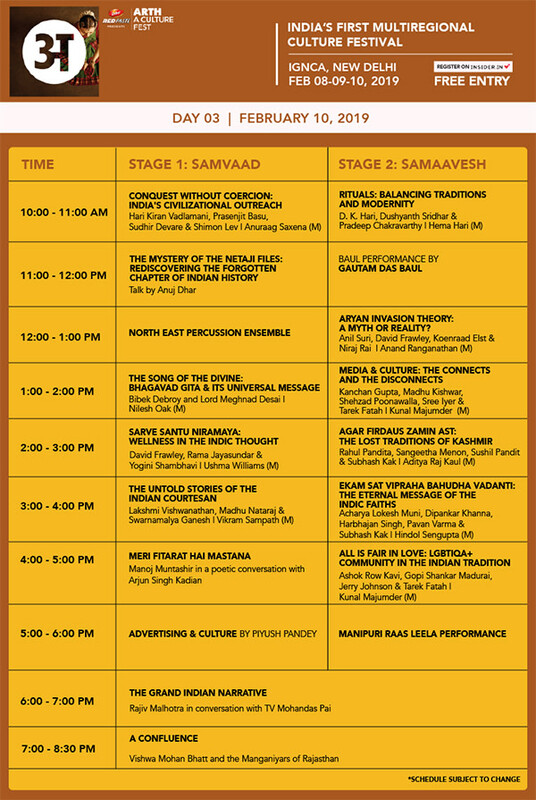 Arth isn’t merely a festival, but a culture quest that will keep alive the meaning of our culture. 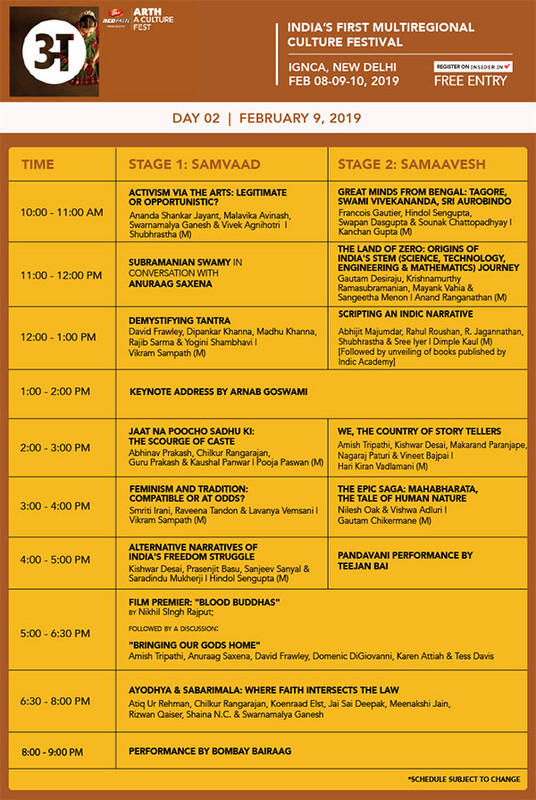 This festival will focus on literature, culture, society, music, traditions, history and art. We are creating a platform for lovers of art and culture to learn and celebrate Indian culture across all its dimensions. 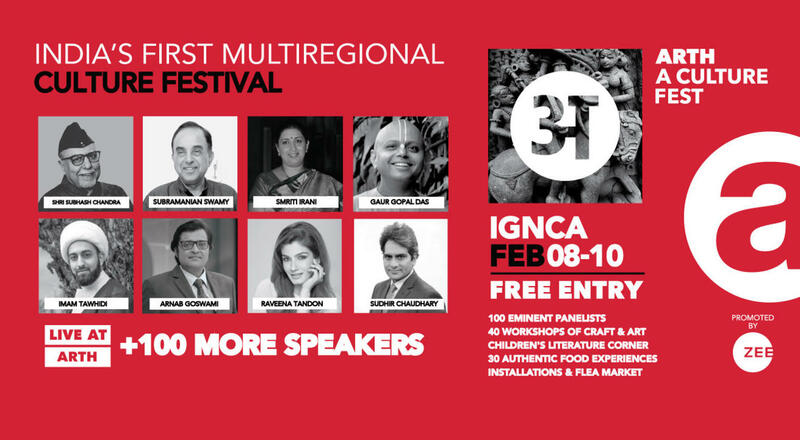 The national leg of the festival will be held in Delhi in February. Smaller satellite shows will be hosted in Kolkata and Pune in December and January respectively. 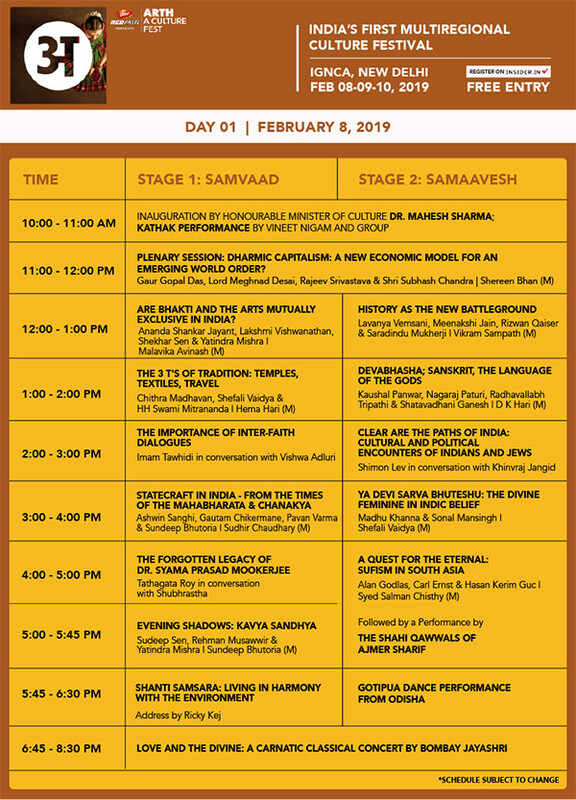 Look forward to lectures and panel discussions by some of the country’s most celebrated and respected scholars, intellectuals, journalists, authors, performers, artists and members of parliament. That’s not all, Arth will host workshops ranging from Indic arts to Indic martial arts, a curated expo focusing on Indic crafts, as we as an elaborate food flea.